Early signs of Autumn along Barton Creek. 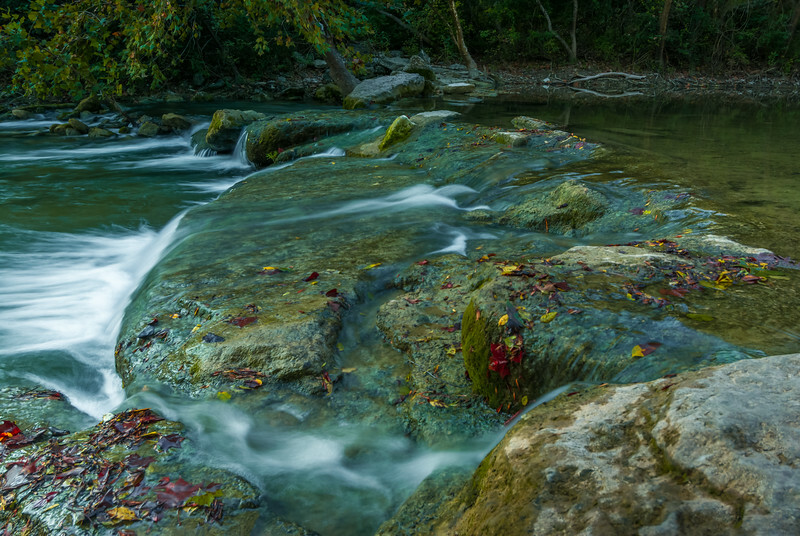 The Barton Creek Greenbelt is known for several locations, however, there are others like the one seen here, that are lesser known to the typical visitor. The area in which this photo was taken, is in-between "The Stone Bench" and Sculpture Falls. Depending on rainfall and the time of year, this area beats the stereotype of what most people may think of Texas. I was lucky to get some moderate runoff from upstream to were the creek continues below, and the early autumn foliage ties the photo altogether. In years past, I haven't been so lucky.